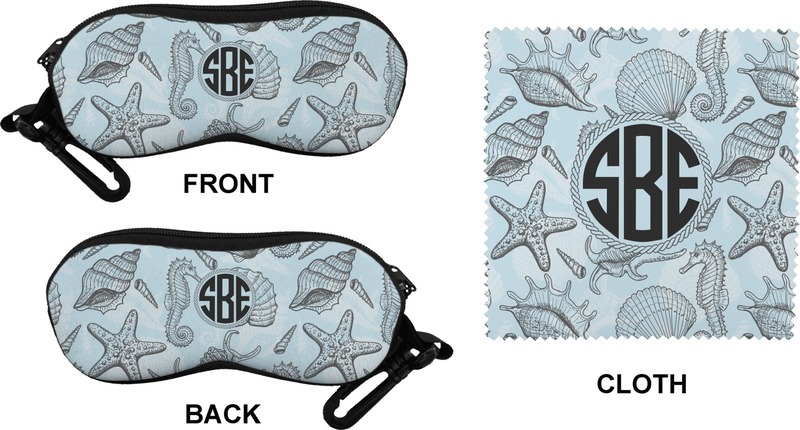 These personalized eyeglass cases are perfect for carrying eyeglasses or sunglasses in style. The vibrant designs and colors will also help if you have trouble finding your case in the bottom of a purse or bag. 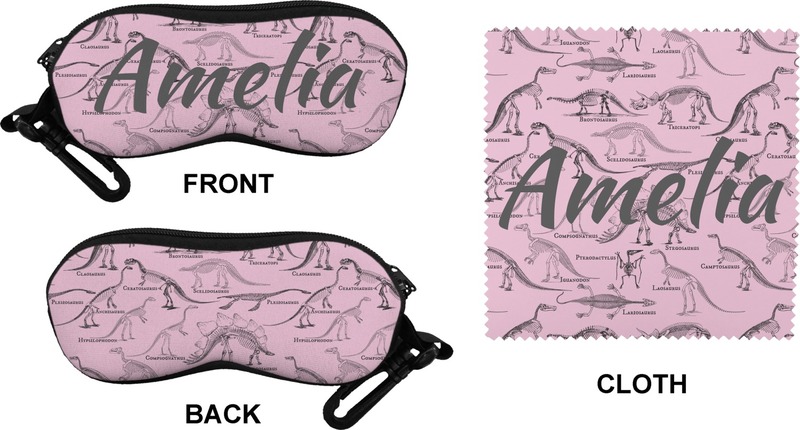 The cases have the design on both sides, a black zipper, and clips for hanging on a belt buckle or purse strap and also include matching lens cloths. Just what I wanted and it was done and delivered so quickly! Love it! Customized and bought for my daughter and she absolutely LOVED it!! I love that I can change any part of it to suit my daughter's likes!! Music, It's mine! Choose your design! I absolutely love this eyeglass case, it looks amazing with my babies name on it. I would highly recommend this case. So cute, could be MUCH better quality/fit. I had this personalized and had another design on the top portion. This is a really fun project to pick out so many different aspects. The color options and text are unlimited. Having said that, I received my case/cloth pretty quickly which was nice, but was really disappointed in the quality of the actual case. Design and color A+ being able to fit realistic sized glasses D. I also was bummed about the black ribbon like material that holds on the clip, it is so flimsy and was already pulling away from case. I spend 34$ which I think was pricey but was willing to spend the money for the security of it staying clipped on my bag or my clothing. I called RNK and although the women was nice I am not sure they will do anything. I asked her to give some feedback to designers, please make this bigger. I measured the size before and this should have fit my prescription glasses which are much smaller than some designer/over counter sunglasses. The measurements they gave are true but the case is maybe a 1/4 inch width and not much give. Zipping up my case I thought the arms of glasses would be crushed. I am stretching it out by overstuffing a sock in it. Would buy a bigger sized case again if they changed the measurements.